Happy Friday, friends! Thank you all for spending time with me here. I'll wrap up this week with these sweet critters. 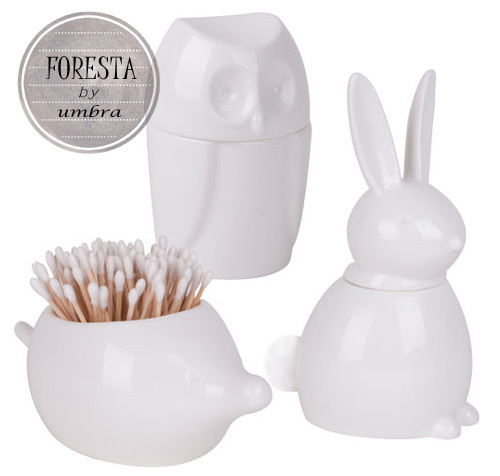 Foresta is a collection of ceramic bath accessories designed by Alan Wisniewski for Umbra. 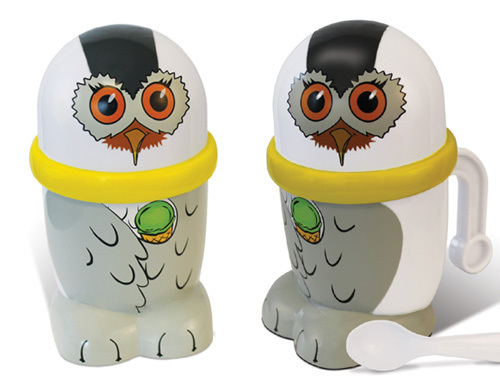 The range includes three canister designs - owl, rabbit and porcupine that use part of their form for their functional design. 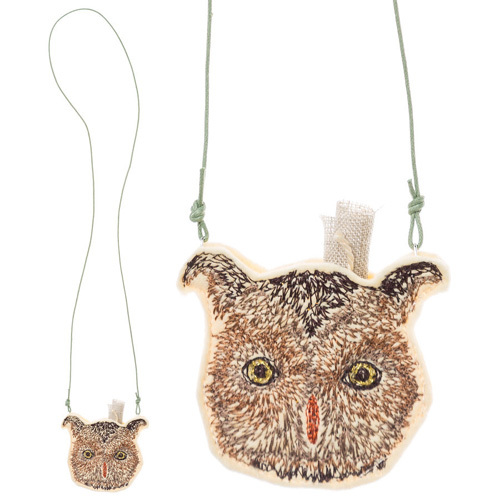 Owl twists its head 360 to load and dispense cotton pads and porcupine stores cotton swabs to look like its quills. 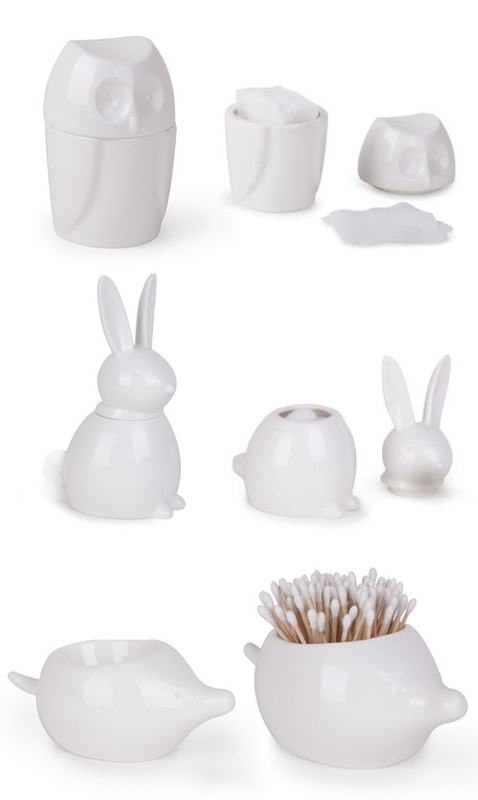 They are such a refreshing change from storing your toiletries in glass jars. You can find them all here. 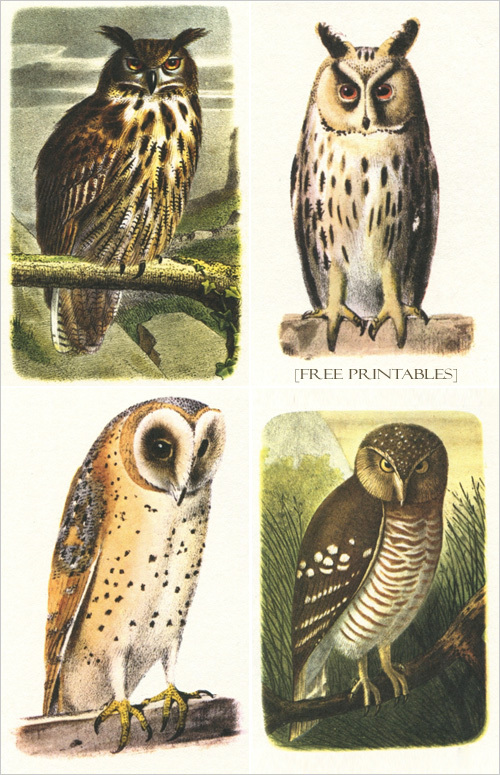 I came across these four beautiful owl images on this blog which can be used in scrapbooking or halloween project. Images are available in high resolution to be downloaded for free. Enjoy! 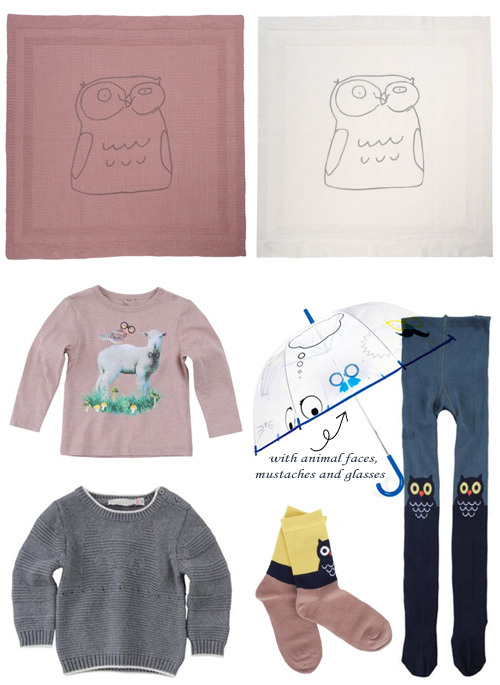 Stella McCartney new Kids AW 2013 collection offers beautiful clothes for girls, boys and babies, blankets, umbrella with animal prints including owl, bat and sheep. The range is a lovely mix of both bright and pastel colors that'll keep your little ones looking stylish all through fall and winter. Harem6 was started in 2003 by a team of two talented Romanian artists who create unique sculptures, surreal creatures and handmade dolls. 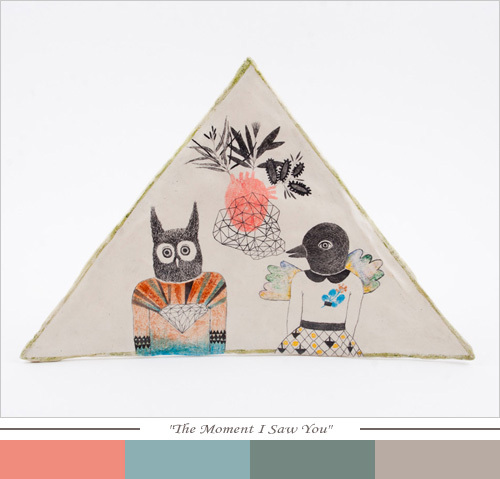 'The Moment I saw You' is one-of-a-kind handmade clay wall decoration featuring a bird and an owl illustration drawn with colored pencils. 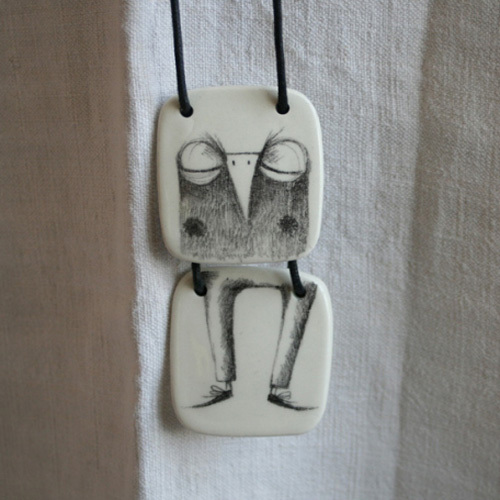 If you haven't see their artwork before then you must visit their online store for wonderful creatures that seem to come from a different planet. For example this deer doll with antlers. 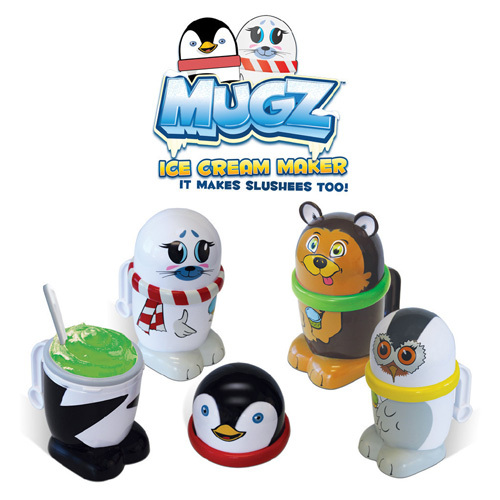 Mugz personal sized ice-cream makers that churns out a single serving of ice cream at a time. 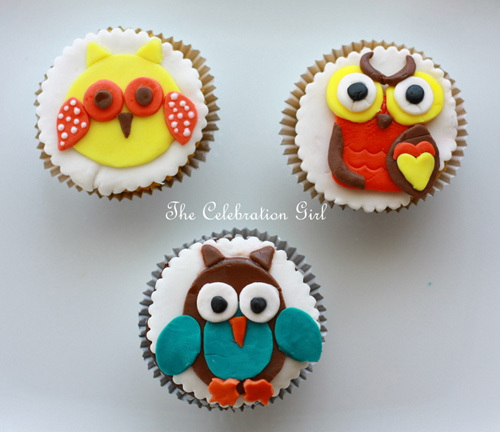 Whooo would mind making some ice cream with the help of these adorable critters. 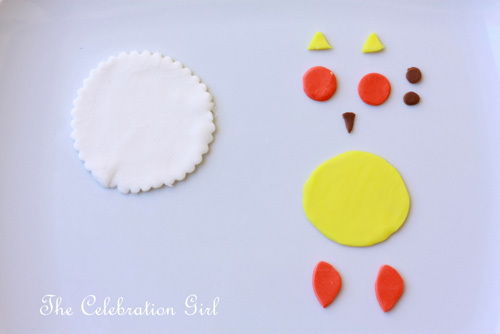 They're not only cute but also easy and fast! 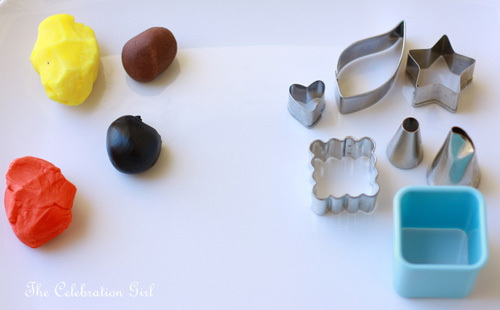 It prepares ice cream in just 3 minutes with no use of batteries. 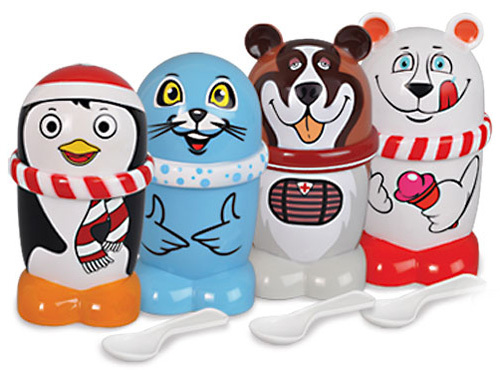 Just shake, shake, shake for a yummy scoop of ice cream! 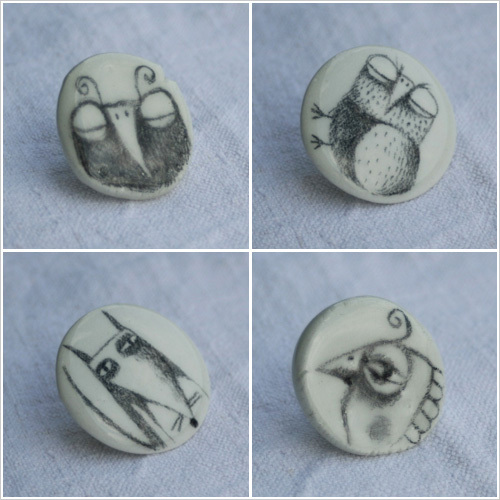 Available in snowy owl, baby seal, polar bear, dog, grizzly bear, penguin and more. See all the designs here. 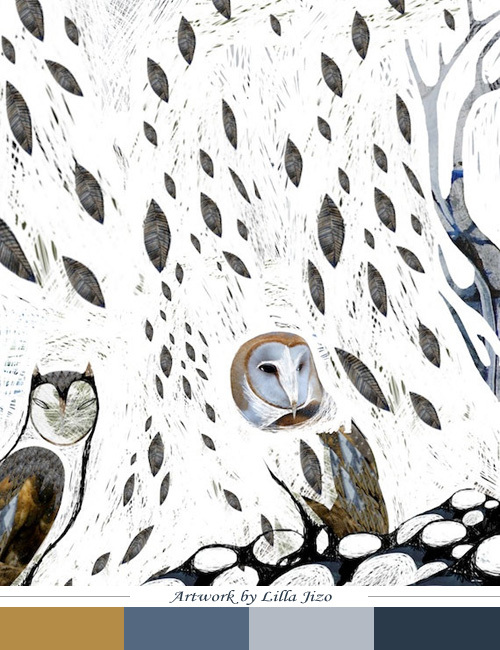 Serena Balbo is an artist born in Piazza Armerina, in the province of Enna, Sicily. She gained graduate degree in Master of Arts with specialization in Painting in 2002 at the Art Institute of Bologna. In 2006 she graduated in Painting at the Academy of Fine Arts. 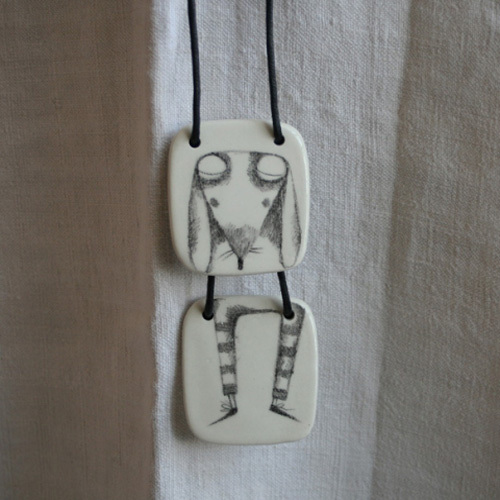 She works in many mediums like ceramic, wood, card board and paper to create wonderful sculptures and jewelry. 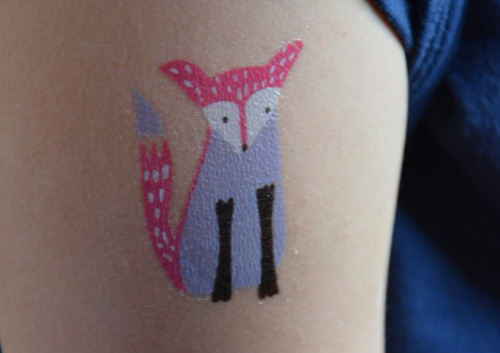 She says: "My world is populated by cheerful and fantastic animals that move my dreams. You too climb into my personal time machine that will magically make you relive the happy moments of your childhood." 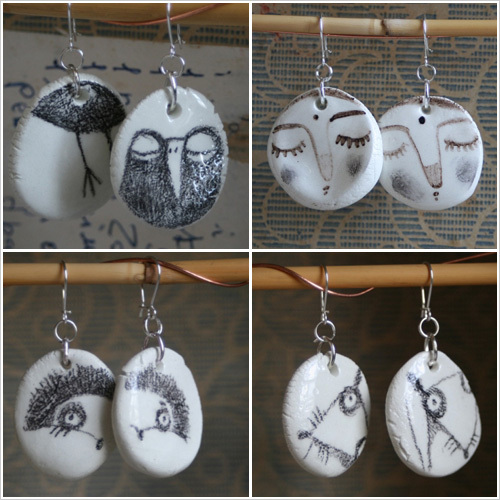 I am especially loving the range of her ceramic earrings, brooches, rings and two-piece necklaces (unique idea!). If you are interested in any of her products then find out more details on her shop page or contact her directly by sending her an email. 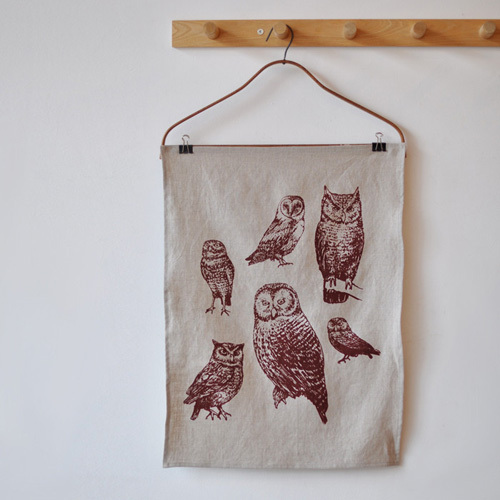 I covet this owl linen tea towel by Bookhou featuring their original drawing that's printed with solvent free ink. 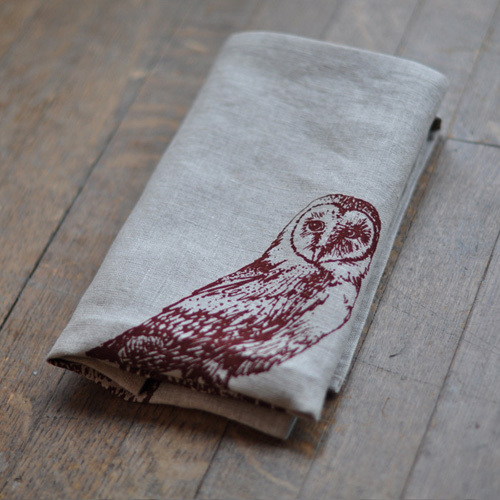 This linen towel is naturally stronger and more absorbent than cotton so it will make drying dishes effective. 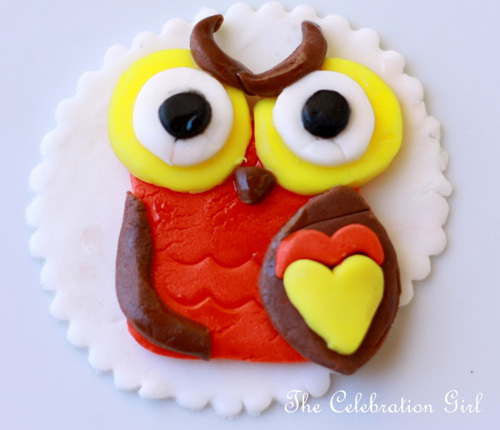 And if you don't have a heart to use it to wipe counters then hang it on a wall as an art or to wrap gifts. 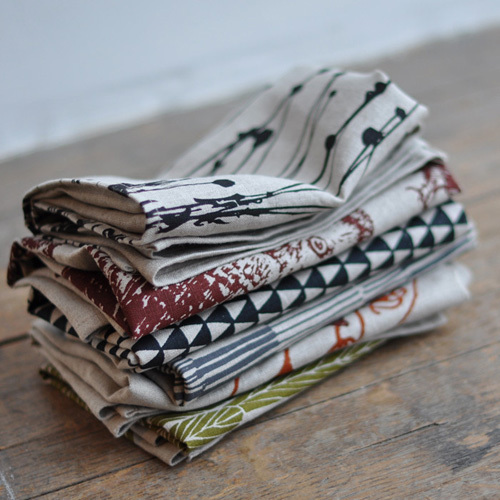 Visit their online store to see more tea towel designs, there are total of seven lovely designs including trendy triangles, lines and more. 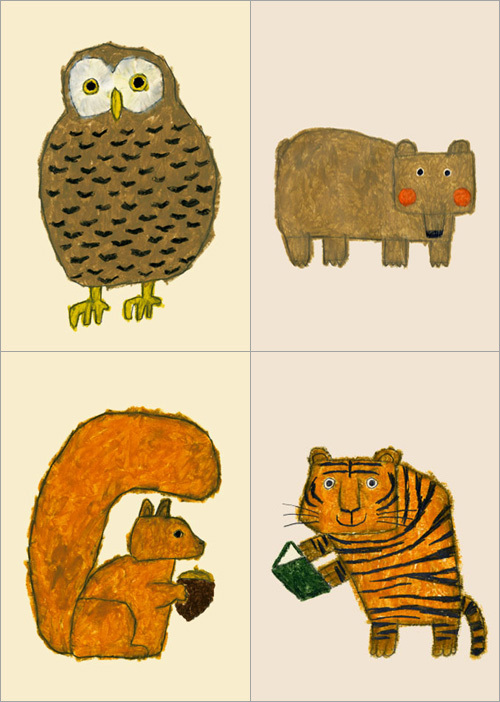 Find my past post on Bookhou fabric animal softies here. These cute wooden display shelves are designed and made by Candy Stripe Cloud in Sydney, Australia and are impressive way to display your collection of bottles, match boxes or toys. 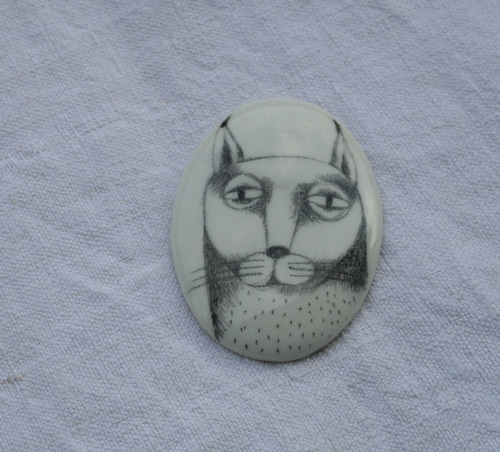 Available in 9 designs that vary in size. You can see all the shadow boxes here, I'd love you know your favorite(s). 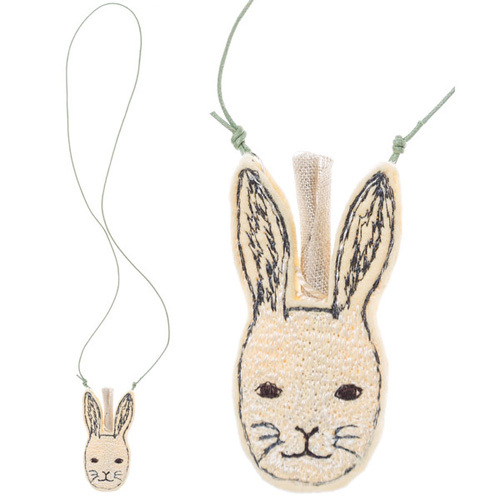 How sweet are these embroidered necklaces by Coral and Tusk. 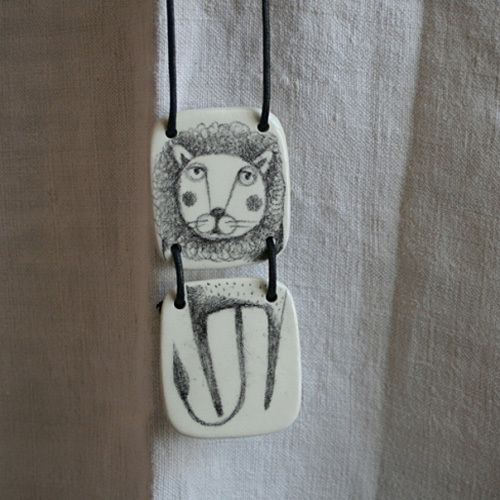 The necklaces come in four animal designs - owl, fox, rabbit and cat (not shown). 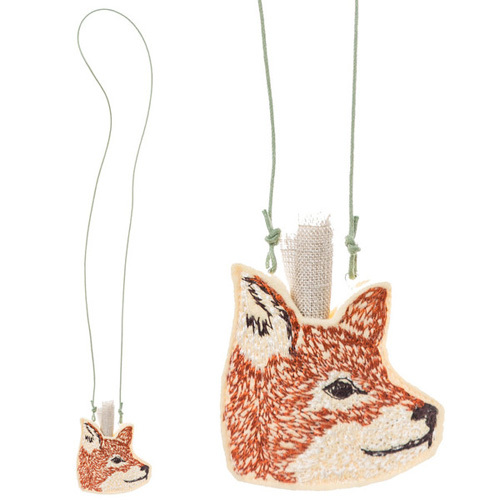 Each 2"x2" necklace hangs from a long cord, and doubles as a small pouch to hide a secret message or to store a tiny gift for someone special. 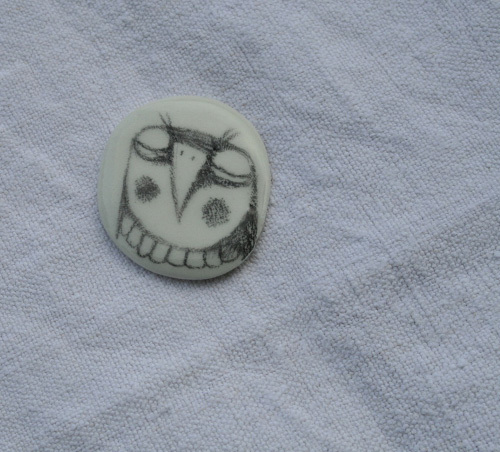 'Owls in Falling Leaves' print by Lilla Jizo. 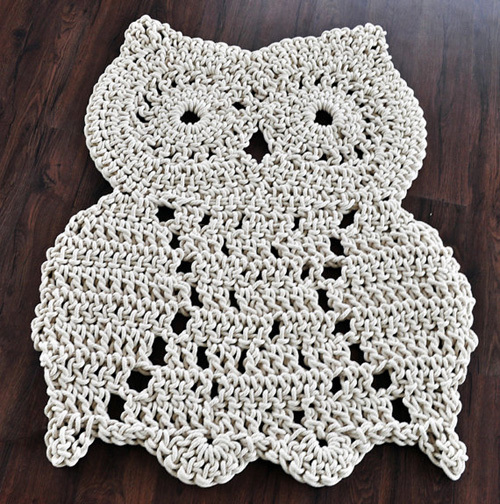 This generously sized owl rug is handmade using 100% cotton rope. It's so cute that it'll look good in any room in your house. Kids will love to have one of these in their room as well as the kids at heart! Find details on how to order here. 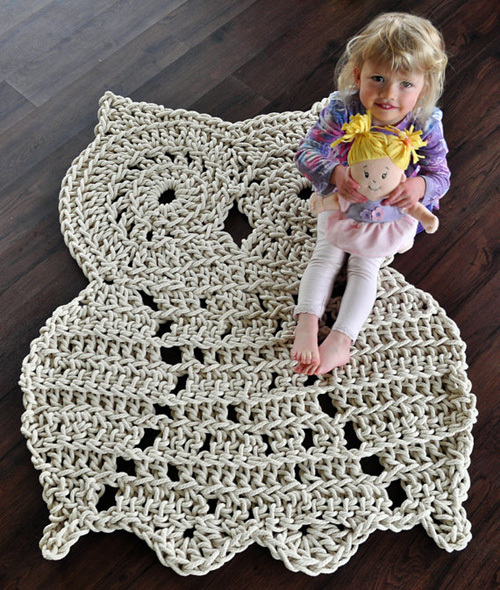 Magdalena Marsh the creator of the lovely rug will love to hear about your custom order. 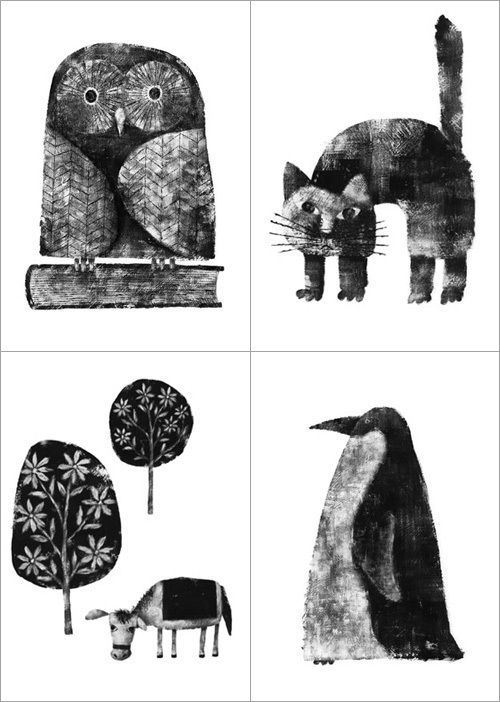 Tokyo based Yusuke Yonezu is an award-winning Japanese children's book illustrator who has published over 15 books! I adore the simplicity in the drawing, textures and old school style in the above shown illustrations that give a feel as if they belong to a vintage Japanese picture book. Visit his website - Yonezoo.com to see more of his work in picture gallery and for the products that are available for purchase find information here. 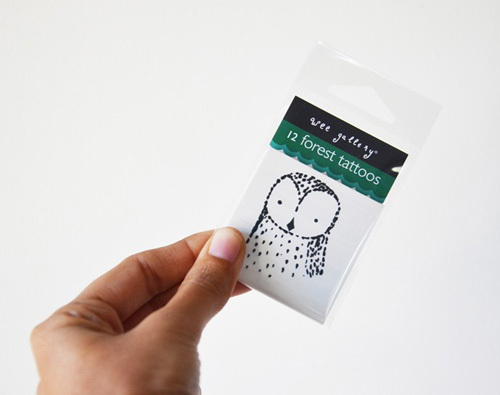 Forest Tattoos by Wee Gallery are great temporary tattoos that'll make memorable favors at any party or for a fun activity during the party. 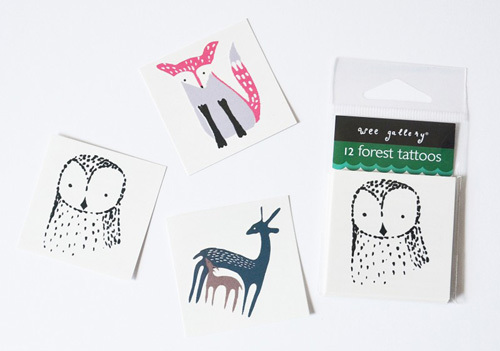 Each pack includes total of 12 tattoos 4 of each animal design owl, fox and deer. Grab'em from here now!